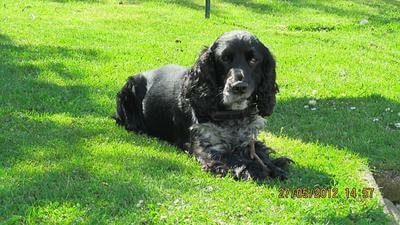 Dog Pictures: Discover Hundreds of Cute Cocker Spaniels! Do you have a couple of your favorite dog pictures that you'd like to share with us? If so, we'd be delighted to hang them in our 'doggie hall of fame'. Why not join in the fun and send us some of your best Cocker pics today! Click here to go directly to our visitor's beautiful dog photos. Cocker Dog Pictures To Warm Your Heart! Welcome to our...correction...YOUR Cocker Spaniel photos page! This is where you can show off your best photos of your Cocker Spaniel and tell us all about your faithful hound. Come on Mom, throw the ball! You own a Cocker Spaniel right? Right, which means you're bound to have lots of amusing stories to tell - so come on, why not share one with us? You can send us up to four of your favorite dog pics, write a few words to go with them and I'll place them in our doggie hall of fame for all our visitors to see. You may have captured your Cocker Spaniel's true personality in a chance snapshot, he may have been 'caught in the act' raiding the trash can, or getting up to other doggie mischief! Or you may have some lovely photos of your Cocker Spaniel just being him or herself; playing, lying in the sun, sleeping, but above all, being simply adorable! It's so easy to do, just go to the dog pictures submission form below and follow the instructions, and don't forget to add a few details about the picture too. If you need inspiration to help get those creative juices flowing, you'll find some good ideas here. This is Dougal, our beautiful cocker spaniel who sadly died recently. I thought I would never stop crying. We now have our new puppy, Teddy (pictured on this site too) who is mending our hearts. Although we love him very much and he's already a part of our family, we won't ever forget Dougal. Hi, This is Ben, my new love. He's a cocker puppy and is 6-weeks old in this photo. I am so lucky as the breeder only lives across the road, so I see Ben a lot and I'm so looking forward to having him permanently. This is Ben, my new love. This is Rocky, our one and a half year-old cocker spaniel, joining in the fun and games. He just loves the snow! Not to be left out, this is Apollo, our other cocker spaniel. He's 1.5 years-old and is the brother of Rocky (above) and he loves the snow too. No matter how cold it is they just love to roll and play in it! ...But What Do I Write About? If you need inspiration, why not tell us a little about your Cocker's personality, what they like to get up to, or their favorite toys or games? Anything you'd like to say is fine by us. Perhaps, sadly, your Cocker Spaniel is no longer with you, and has passed on to 'Doggie Heaven' - why not pay a tribute to him here, or write a poem to celebrate his life and keep his loving memory alive? Whatever you've got to say, we'd love to hear it. We love looking at beautiful pictures of dogs, and we're itching to see photos of your Cocker Spaniel(s)! If you're still stuck for words, why not try answering some or all of the following? What's the name of your Cocker Spaniel? What are his favorite games and toys? Does he like to play in the park with a ball or a Frisbee? Is he friendly with other dogs? What are they and how are they being treated? Does he go on holiday with you? Where's your dog traveled to? Does he enjoy running run on the beach? Does he like swimming or does he prefer dry land? I'm sure by now you get the (dog) picture! Whatever you've got to say, I very much look forward to hearing from you, and finding out all about your Cocker. If you'd like to see some of our other visitors' dog pictures, simply scroll to the bottom of this page - you're in for a real treat. Why Not Share Your Dog Pictures With Us? 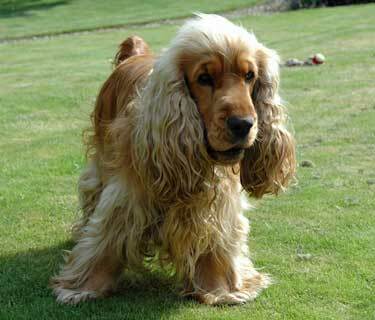 You know your Cocker Spaniel is beautiful! You also know that Cocker can get up to all sorts of antics, and into so much 'loveable' mischief - and they frequently do! Then why not share your best Cocker Spaniel pictures with us and show the world just how beautiful they are? Your photographs may capture your pet getting up to mischief, running in the park, playing with other dogs, asleep on his back - legs akimbo, or they may simply reflect how adorable he or she is! You can build your very own page, right here, for all your friends and family to see. Writing your own web-page couldn't be easier - just start typing here......! Simply write a few words about your dog, and/or what's happening in the picture, and we'll put it on our website for you. Once it's uploaded, we'll let you know! You'll be able to amend and/or update your submission, and add new photographs, when you want. Your friends and other visitors will also be able to leave a comment on your page if they wish. Click the browse button, find it on your computer, and then select it. You can add up to four photos. Honey has been with us 9 weeks and what a darlin'! Playful, energetic, clownish, kind, gentle and sweet! We are all mad about da pup! 1 year old black and white cocker with amazing markings. Such an affectionate little baby! Here are more lovely photos of my Cocker Spaniel Lady who passed away on Sunday. Update on Alfie (Kelbonny Country Runner). Hope you enjoy the pics! Leia Is One Year Old Today! Alfie, (Kelbonny Country Runner) is now almost 10 month old. He is a lovely wee boy and recently had a full trim. Jazzi is the most amazing dog! She is 16 yrs old and still going strong! Kronos is my handsome Spaniel. He is sweet, friendly and joyful. This is Rocco....he's 20 weeks old and is a sable roan. He has a beautiful nature and is so sweet. Everyone who meets him loves him. She's a golden cocker spaniel, more red than golden, and she's a 17-week-old bundle of joy with a cheeky, but lovable character! Serafina is a beautifull black cocker spaniel dog, 2 months old. After a long wait, we finally got our Alfie home. He has been vaccinated and is now allowed out for walks. This is Mabel, from my first every litter of cocker spaniels. She's only 9 weeks old here, posing for the camera. She's just adorable! 7 month old, our precocious little puppy Indiana - she brings a smile wherever she goes. 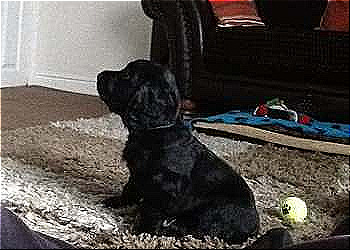 Toffee is a wee golden cocker spaniel boy! He's now 14 weeks and is so adorable! He's going to school next week for a bit of training. go to the groomers again? Rocko and Jax: Our Babies - What Characters! Sofi And Her Younger "Brother" Dali. Shirley is very pretty and very loving! This is Alba, our gorgeous Lemon rowan Cocker Spaniel. She's our baby! She's a crazy, excited girl and I can't imagine life without her.